Eugene Ionesco, the French-Romanian titan of post-war drama, acclaimed architect of such avant-garde classics as The Killer, The Chairs and Rhinoceros, only receiving his first National Theatre production in 2018, over two decades since his death in 1994? 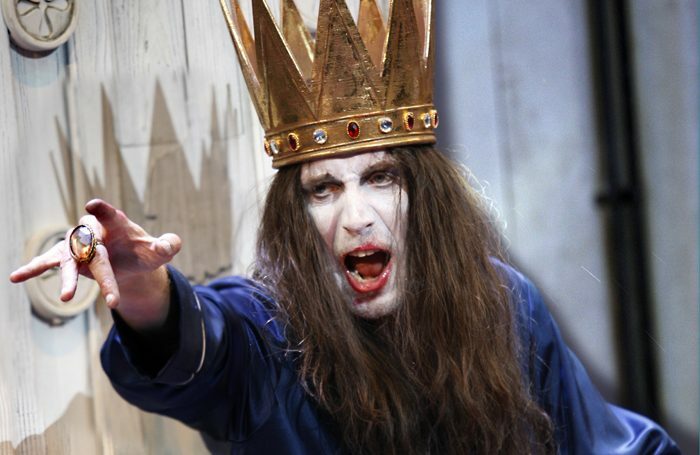 Utterly absurd, as is the play Rufus Norris has chosen to stage: Exit the King, or Le Roi Se Meurt, in the Olivier until September. Writer, director and actor Patrick Marber takes the reins of his own adaptation, returning to the National after the sell-out success of his version of Hedda Gabler, staged by Ivo Van Hove in 2016. Marber’s on something of a roll: in recent years, he has earned acclaim for his Ibsen adaptation, for his revival of Travesties, and for his play The Red Lion. For Exit the King, he’s joined by a lead actor also in something of a purple patch. 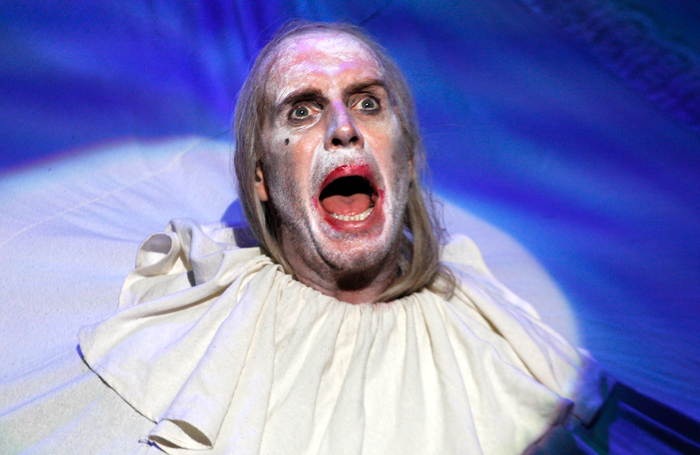 Star of stage and screen Rhys Ifans returns to the National after playing Scrooge and King Lear’s Fool at the Old Vic. He’s worked with Marber before – he originated the title role in Marber’s play Don Juan in Soho in 2006, a part recently taken on by David Tennant in the West End. 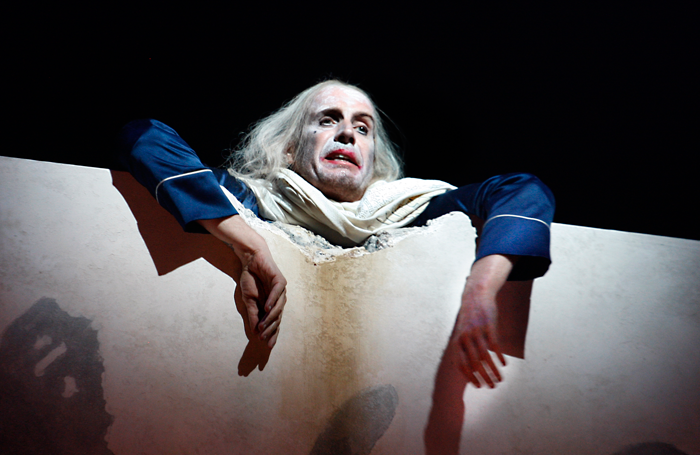 But does Ionesco’s overdue National Theatre debut impress the critics? Does Marber’s adaptation augment the original’s absurdity? Is Ifans up to filling a king-sized pair of shoes? 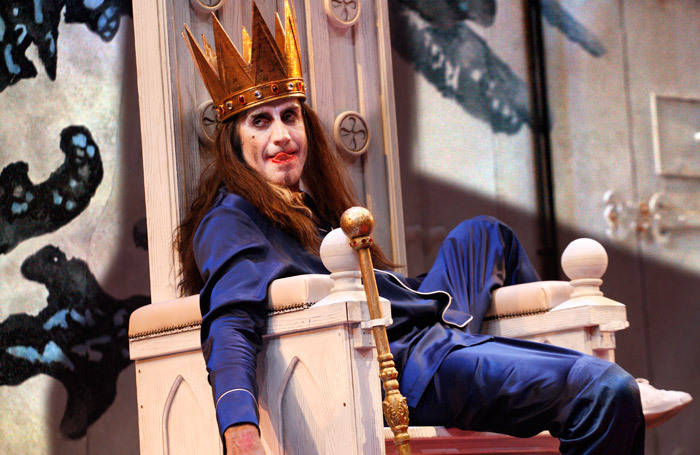 Exit The King, which premiered in 1962, presents an omnipotent, 400-year-old monarch finally meeting his end. King Berenger knows he is going to die – over the course of the play, the audience watches as he and his kingdom crumble into nothing. So far, so absurd, but how does it work in 2018? Michael Billington (Guardian, ★★★) finds the play conceptually flawed. “By seeking to combine a classical form with absurdist senselessness,” he writes, it “promises more than it delivers.” And Natasha Tripney (The Stage, ★★★) reckons Marber hasn’t realised its full potential. “He brings out the play’s layers – one man’s scrabble against the multiple indignities of physical decline and the falling away of an old order – but ironically he struggles to make the play feel alive,” she writes. Marber’s most successful staging to date is probably his Menier Chocolate Factory production of Tom Stoppard’s Travesties in 2016, which earned an Olivier nod for best revival. Can we expect similar accolades for his Ionesco? It’s not all bad news. As above, Anthony Ward’s set is widely praised – it’s “monumental” according to Tripney, and “sensational” according to Rachel Halliburton (Arts Desk, ★★★). 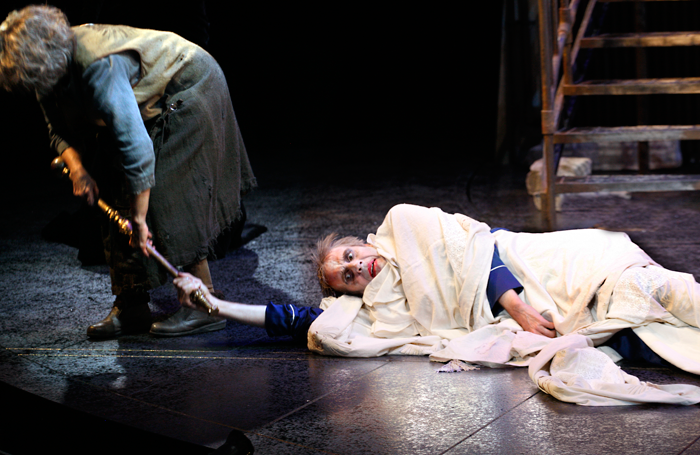 The concluding coup de theatre – no spoilers – is also raved about in most reviews. “A blend of pantomime and angst-ridden darkness, it’s commendably bonkers yet also overblown and uneven,” concludes Hitchings. Rhys Ifans is probably still best known for his comic supporting role in Notting Hill – “nice, firm buttocks” – but he’s a stage actor of considerable pedigree, too, particularly in recent years. How well does he rage against the dying of the light in a role previously taken on by Michel Bouquet, Sir Alec Guinness and Geoffrey Rush? He’s “tremendous and weirdly magnetic” according to Hemming and “a marvel” according to Williams, while for Lister, it’s a turn that’s “little short of a tour de force”. Exit The King – Is it any good? Mostly three-star reviews mean Exit The King is far from a hit, but it’s far from a flop too. For some critics, the play’s the problem: it has aged poorly, still eloquent about mortality, but now more likely to provoke groans than gasps of outrage. For others it’s the production: despite a stunning set from Anthony Ward, Marber’s revival struggles to marshal the magic of the Olivier, and his staging drags. Ifans is good, though – really good, according to some reviews. In the end, Marber has to settle for mediocrity. He won’t like it, but he’ll have to go along with it.